A little heads up for those looking to finally get some hot poker action on the go in the full Xbox Arcade glory. 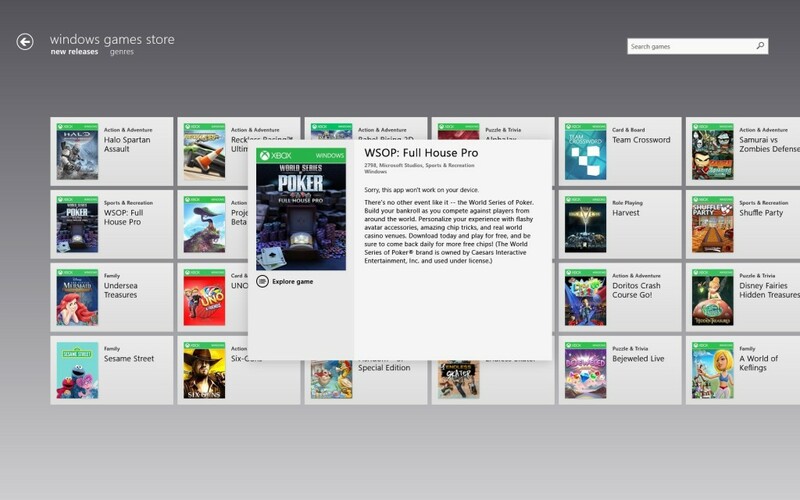 World Series Of Poker: Full House Pro is on its way to very soon to Windows 8! Free-to-Play—Jump in and play with real competitors any time, day or night. Don’t worry about losing your chips either, because each day you will receive a free stack of chips to kick start your climb up the leaderboard where you can challenge players at any level you wish. With a constant stream of updates and new content, there will always be a reason to come back and see what’s new. Pick up and play across Xbox 360 and Windows 8 platforms. This means you can resume your game anytime, anywhere. Variety of Game Modes – From single-player mode, to single-table games and tournaments, you never need to worry about finding a game that suits your style. 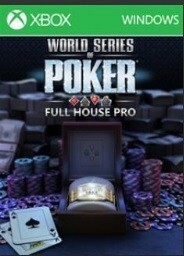 World Series of Poker on ESPN announcers Lon McEachern and Norman Chad provide commentary during play, giving gamers the authenticity as if they were on ESPN playing in the WSOP. Delve into the single-player game and learn the ropes before jumping online to test your mettle with specialty games including eight head-to-head Pro Takedowns, and an All-in Pro Takedown Tournament. We will inform you once the game is finally ready to download. I myself am not a big poker player, but with gameplay and features like those mentioned above, I may just become the next Brikis. Written by: MBGW on December 22, 2013.